Viticci put it well: “There’s only one thing I like more than switching todo apps: writing about it.” My 2Do review is much shorter than his, but I resonate with his sentiment. That might explain why today I give you a review of another worthy task management app: The Hit List. The Hit List is much more robust than Apple’s native Reminders app. Its proprietary Sync Service is fast, and keeps your tasks and lists updated across Mac, iPad, iPhone, and Watch (depending on what you have). The Mac layout doesn’t totally match the rest of El Capitan, but I don’t mind that at all. I especially like that you can have multiple lists open at once–in one window–as various tabs. This mirrors how we browse the Web, yet out of all the task management apps I’ve tried, THL is the only one to incorporate it. It’s a really nice touch, especially if you are actually working on a few projects at once and want to be able to close tabs as you go. Or if you want to toggle between your time-sensitive “Today” tasks and other projects. The tagging system on all platforms is neat. By typing “task /tag” you automatically can tag a task. It then shows up in a different color on the task entry line and puts itself into the right tag. You can give sub-tasks to tasks, which is often what happens in real life! Our tasks turn into a series of sub-tasks, too. Of course you could just separate a multi-task task into its own project, but the ability to rapidly enter sub-tasks is great. Probably my favorite part about THL is its task timing integration. Yes, you read that right. You can both assign estimated time to tasks, as well as track it! It’s not as robust as a dedicated time tracking software–you can’t get to-the-minute readouts of your day. But it’s a pretty sweet feature on the Mac app. Rapid-fire brain dumping is tricky in THL. Well, it’s not impossible, but on iOS there’s no Save+ button so you can just add a bunch of tasks at once without multiple taps. Keyboard shortcuts make it quick on the Mac app, though. 2. You can’t email a task to the app. It continues to perplex me that this is not standard issue in a task management app. I don’t know… maybe it’s just hard to implement. In THL there is no way to convert or forward emails to tasks from wherever you are. Evernote and OmniFocus allow this, as will 2Do soon. This functionality is essential to me in a task management app. 3. The iOS app isn’t as configurable as one might like. 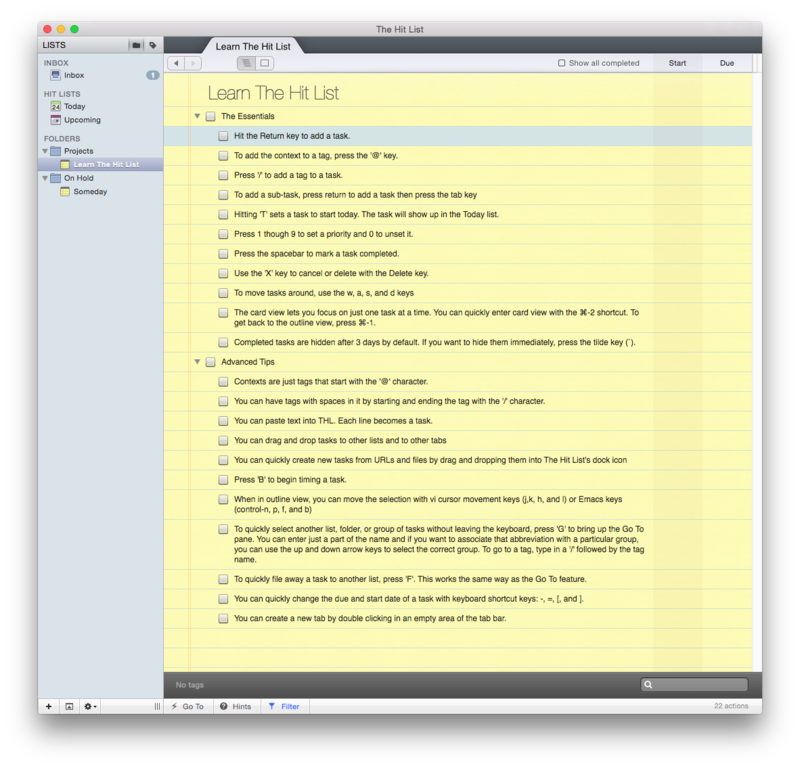 The criticism that you have to understand the app on its own terms often gets leveled toward OmniFocus, but I experienced some confusion in THL with the “Today” list. Support was outstanding in helping me to understand it (which I do now), but the Today list shows all your tasks that start today. You can’t adjust it to show just your tasks that are due today, which feels to me a more natural way to use it. You can’t even really trick Today into doing what you want, since a task with no start date that is due tomorrow still pops up in Today. THL also sort of forces you (if you’re going to use the app) into its Inbox–Today–Upcoming logic. (These three “hit lists” give the app its name.) This could be a limitation for some. That way of setting up things, to which you can add your own lists, appeals to me, so it’s fine. 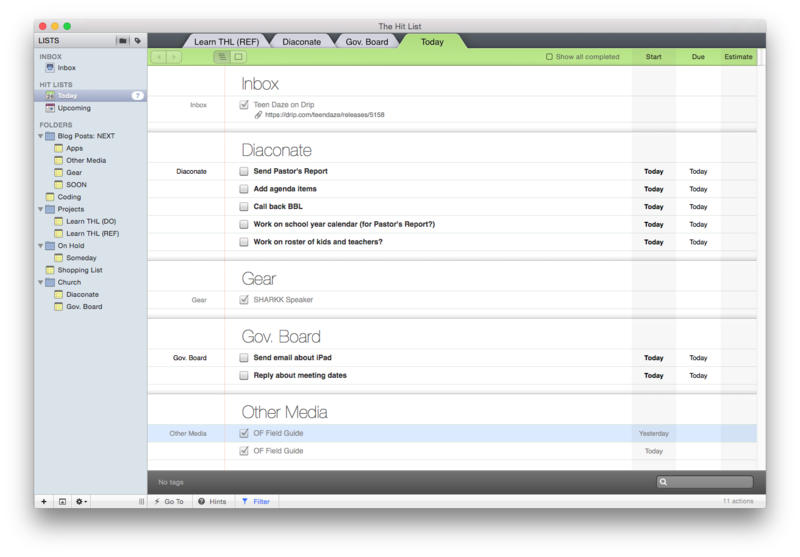 On Mac you could create a “Due Today” smart list, so there is flexibility in that regard. 4. 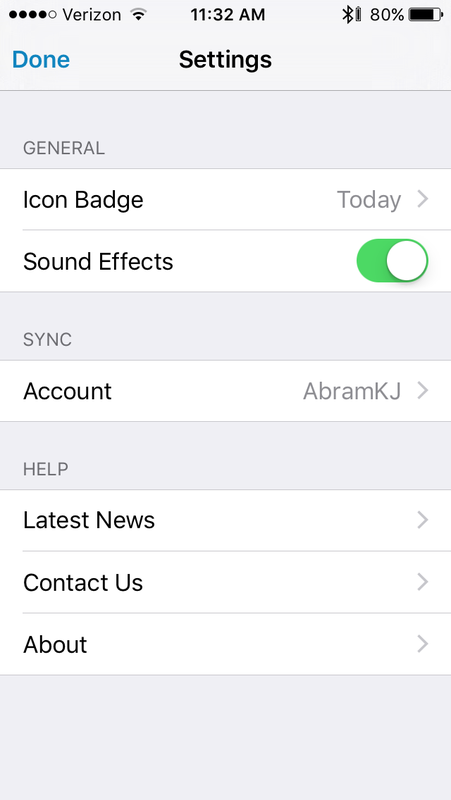 You can’t attach anything to tasks in iOS. There is no way (whether in iOS or OS X) to attach photos or files to an item. It’s hard to envision a week where there isn’t at least one time when I want to take a picture of something as a reminder or attach a .pdf I need to complete a task. You can link to actual files on a desktop with the THL Mac app, but that’s not the same as attaching the file to the task, so the file doesn’t show up on iOS (just an error message). There’s a notes field, so you can leave additional text, but attachments aren’t really a working feature in THL. There’s more to say, of course. The Today widget and Share extension features in iOS work nicely. The layout and interface of the apps is executed well on all platforms. It runs really smoothly, and looks great in its new iPad incarnation. Smart lists can help you customize your experience. Recurring tasks are easy to set up. 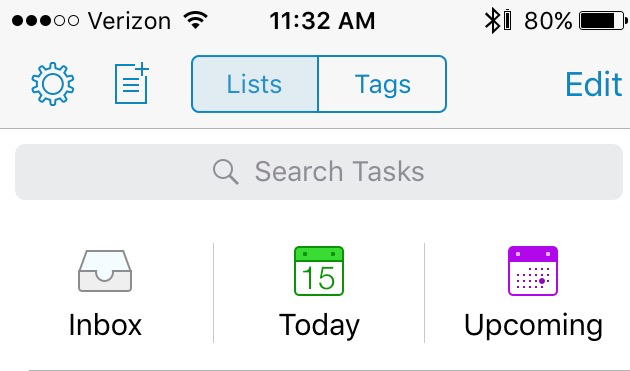 You can quickly swipe a task on iOS to change the due date or move it to a different list and folder. This is a little thing, but I think my favorite thing about the app is the sound effect that goes off when you complete a task. I wish every app had that option! It’s like a little “congratulations!” every time you get something done. Very satisfying to hear that tone. Their support is excellent, too. THL even made a feature addition that I had requested–the ability to drag handles to reorder task lists on iOS. Okay, okay, one more nice little touch: the icon for note detail attached to a task is excellent. Just by looking at a task, you can tell if there’s an associated note. Similarly, a number icon shows you how many sub-tasks are connected to a task. Thoughtful design, for sure. To sum up: the sound effects on iOS, tabbed list views on OS X, and integrated time tracking set THL apart from other apps, so if those appeal to you, this might be your app of choice. Lack of email integration makes it hard for me to think about switching to THL as my go-to task management app, but perhaps future updates will add that feature. Overall, THL is at least on par with Things and certainly an option one could consider alongside 2Do and OmniFocus. You can find the app here (OS X) and here (iOS). Thanks so much to the makers of The Hit List for giving me a download in iOS and OS X for the review. Check out the Karelia Software site here. Next Post Advent: At Least It’s Not Lent!